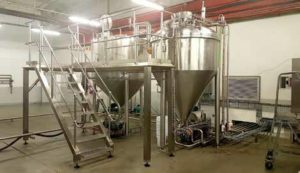 Aleader in the manufacture of customised stainless steel processing equipment of the highest quality, Anderson Engineering’s strength lies in its mixing equipment. 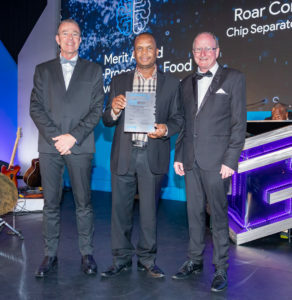 The business’ expert design and engineering capabilities and project turnkey work have enabled the company to deliver some of the most innovative manufacturing solutions to South Africa’s largest food, beverage, chemical, dairy, cosmetic and pharmaceutical manufacturers. 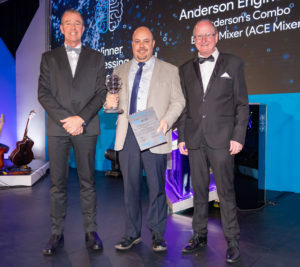 Its latest development, the ACE Mixer, is no exception, featuring their commitment to exceptional quality and excellence. 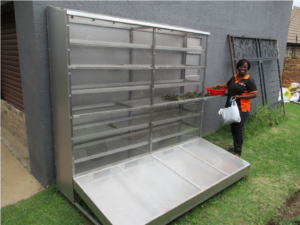 Simple yet smart, the Mpumalanga Stainless Initiative NPC solution for client Feed a Child was developed to increase the lifespan of seasonal fruit and vegetables and eliminate wastage, ensuring optimal delivery of nutrition to the nation’s child feeding schemes. Using 3CR12 stainless steel and a practical design, MPI’s Solar Dryer features a frame backed by a solid stainless steel backplate and plastic film on the front to allow solar energy to increase internal heat and enable hot air to flow upwards and dry the fruit and vegetables. The dryer allows fresh produce to be stored for up to a year and therefore be used out of season. A further advantage is there is no wastage of fresh harvests and fruit and vegetables retain their nutritional value and increase their shelf life to 12 months with no refrigeration required. 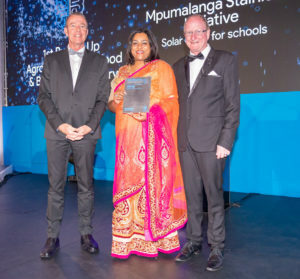 Manufactured specifically for schools that have established vegetable gardens to feed their pupils, MSI’s solar dryer makes produce easier to process and handle and makes excellent use of natural resources to make a big difference to improved healthy lifestyles for children. 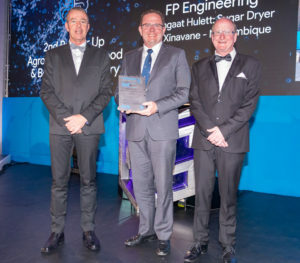 “Just because it works, doesn’t mean it can’t be improved.” This is the philosophy of FP Engineering which demonstrated design efficiency when it produced the first stainless steel Cascade Dryer featuring design safety and the use of a superior material to extend the products lifecycle. 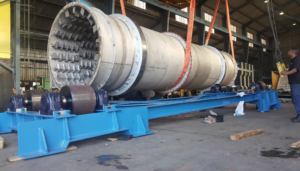 Contracted by Tongaat Hulett to produce a Sugar Dryer, FP Engineering worked with its client to change the design from carbon to 304L stainless steel. 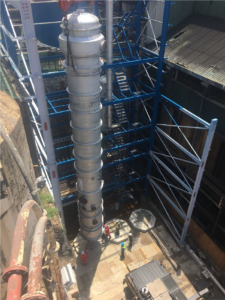 Adeptly managing complicated pipe geometry, exacting fabrication and onsite assembly, Roar Construction, successfully converted a carbon steel chip separator ducting pipe to stainless steel, resulting in extended life and lower lifecycle costs for their client. 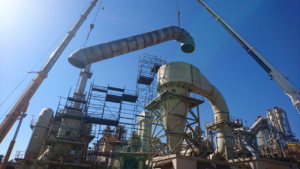 The 316 angulated pipe, used for dust and air ducting, and specified at 2m across and 22m in length, made fabrication, fitup and assembly a complicated procedure. Its stainless steel application has increased longevity tenfold. ND Engineering expertise assisted Tongaat Hullett’s project management team with the installation of full scope equipment for their DNU construction project, greatly reducing the manpower requirements and project risks on site and shortening the site construction duration and exposure to man power. 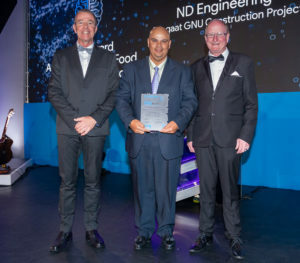 Adopting the piece large construction approach and a just in time delivery principal with the larger pieces of equipment within limited lay down areas, ND Engineering’s management strategy eliminated waste, improved production times and quality and maximised project returns.